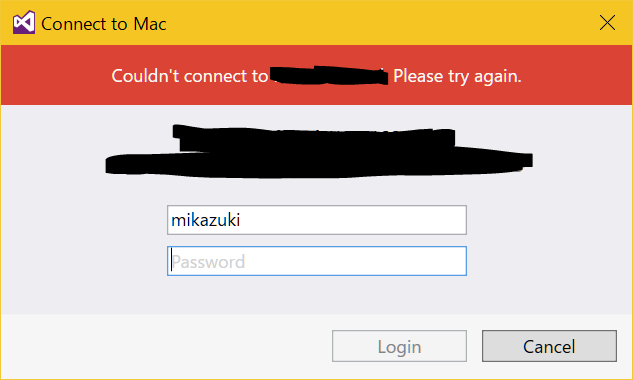 Couldn't connect to Mikazuki.local. Please try again. Xamarin.VisualStudio.IOS.Messaging.State.DisconnectedState Error: 0 : [2016-11-17 22:52:37.4483] Couldn't connect to Mikazuki.local. Please try again.